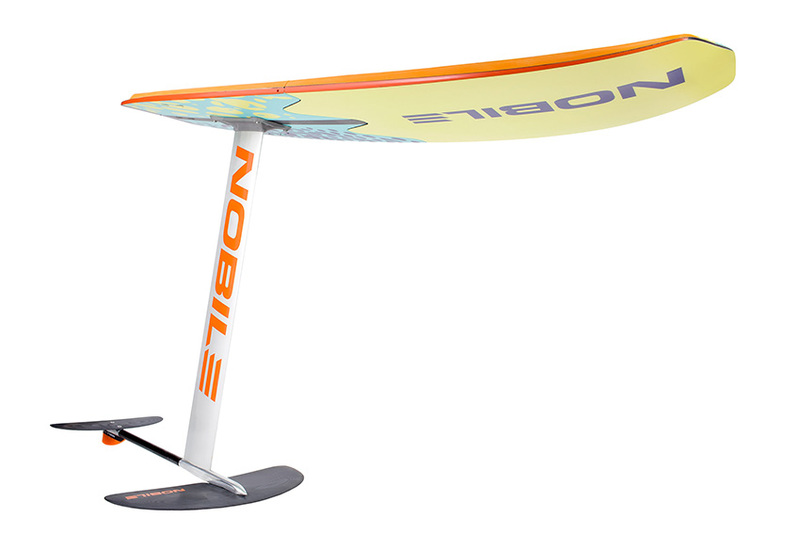 Nobile Infinity Foil Split is a hydrofoil/wave folding board you can transport in luggage less than 90 cm long. It facilitates everyday transport of the board: by car, train or motorcycle, but most of all in airlines, because YOU DON’T HAVE TO PAY ANY EXTRA FEES FOR TRANSPORTING SPORTS GOODS! 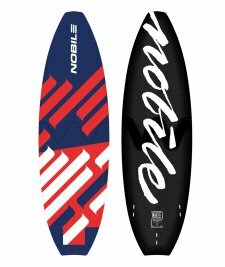 Infinity Foil is a board dedicated to ride with Nobile foil, that is suitable for wave riding as well. 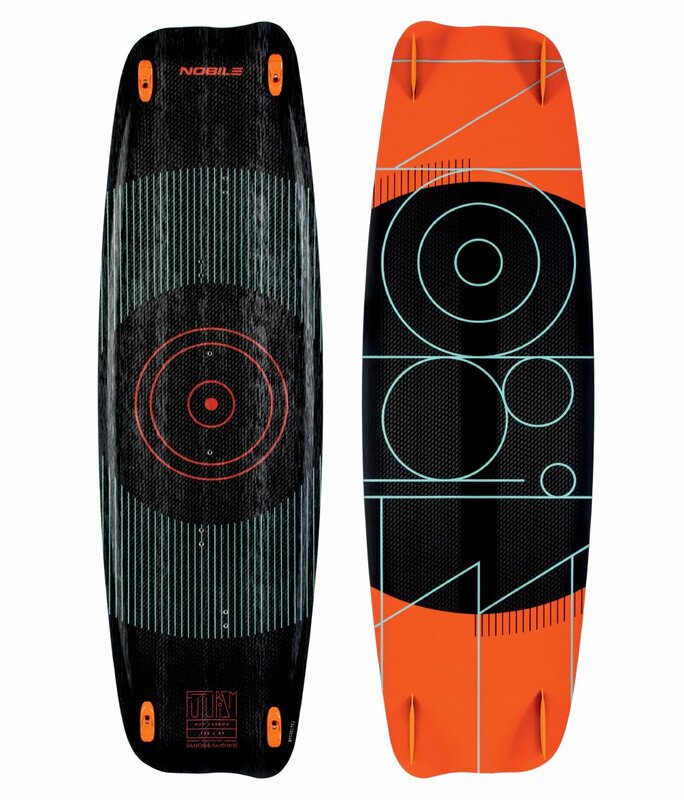 It was developed parralel to Hydrofoil Nobile which makes them both a perfect duo. The location of the hydrofoil mounting, an increased rigidity and properly adjusted strap positions – everything was fit together in order to fully control the board’s behaviour and make the ride comfortable. The board’s shape was worked out in such way to allow the wave riding and enjoy the fun of it. 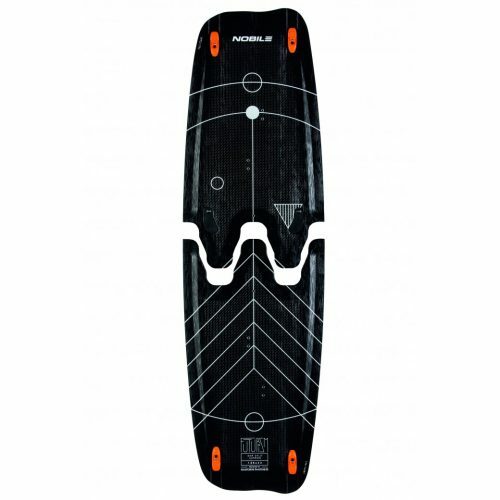 The board is adapted for every hydrofoil with M6 screw mounting and 165×90 mm gauge. It is also compatible with fins mounted in FCS system. This year we introduced the third generation of the W-Connection patented solution. It is the result of many months of R&D by the department engineers at Nobile Sports and the improved connection has been redesigned from scratch. Some of the connection’s constructional elements have been reduced, while others have been replaced with durable composite. This has resulted in reduced weight, improved stiffness and durability. 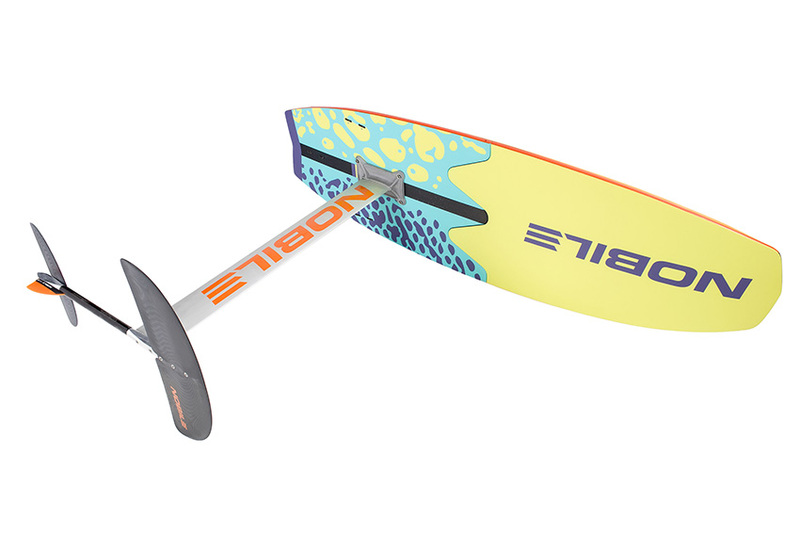 Infinity Foil has a very thin core which lets you put your feet very close to the water and, as a result, facilitates steering and board feeling. The deck is covered with EVA foam, ensuring comfort and keeping your feet in the right position. Thanks to the use of Concave, the Infinity Foil is manoeuvrable and has very good carving abilities. Wave riding on the Infinity Foil Splitboard is really a great fun! – “Sandwich” construction guarantees high resistance to damage. 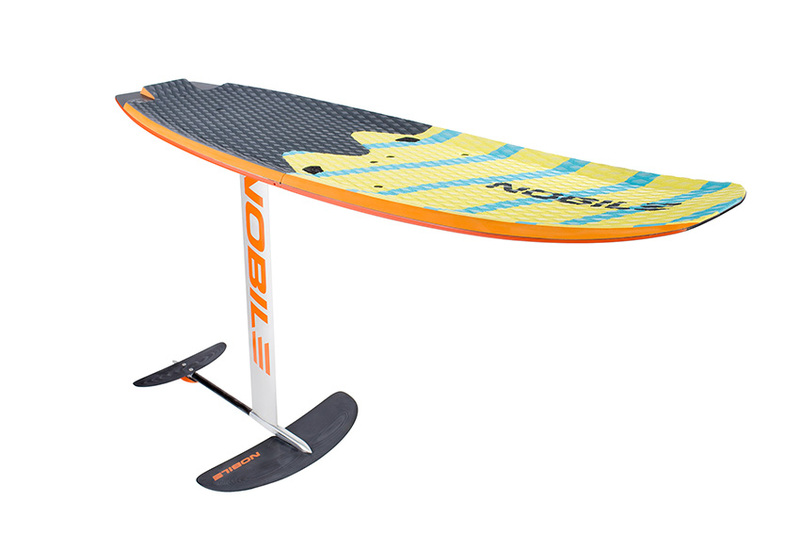 – Fin arrangement, combined with the board’s profile, allows exceptional upwind performance. – Third generation W-connection – lighter, stiffer and more durable.